View Larger The Album Collection Vol. 2 1987-1996 On May 18th, Columbia Records/Legacy Recordings will release 'Bruce Springsteen: The Album Collection Vol. 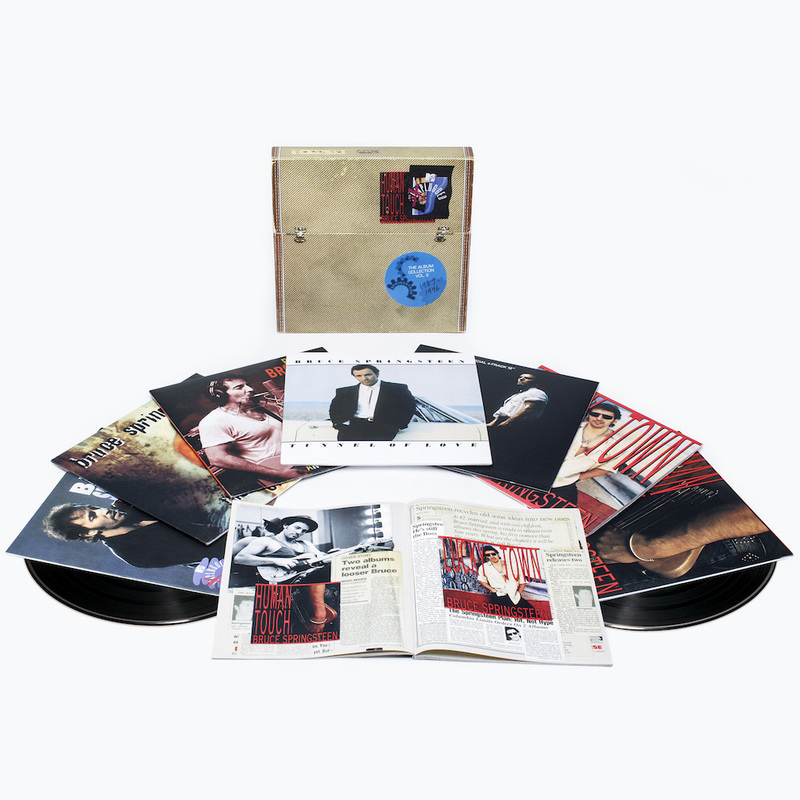 2, 1987-1996,' a limited-edition, numbered boxed set comprised of remastered material recorded and released by Springsteen for Columbia Records during that period. The long out-of-print LPs are available remastered for the first time on vinyl. In addition to Springsteen's four studio albums from the era, the boxed set includes a special 12” of 1988’s ‘Chimes of Freedom,’ Springsteen’s 1993 two-LP MTV Plugged special, and the first-ever vinyl release of the 1996 ‘Blood Brothers’ EP for a total of 10 discs. All of this material comes in recreations of the original packaging, accompanied by a 60-page book featuring rarely seen photos, memorabilia and original press clippings from the period.